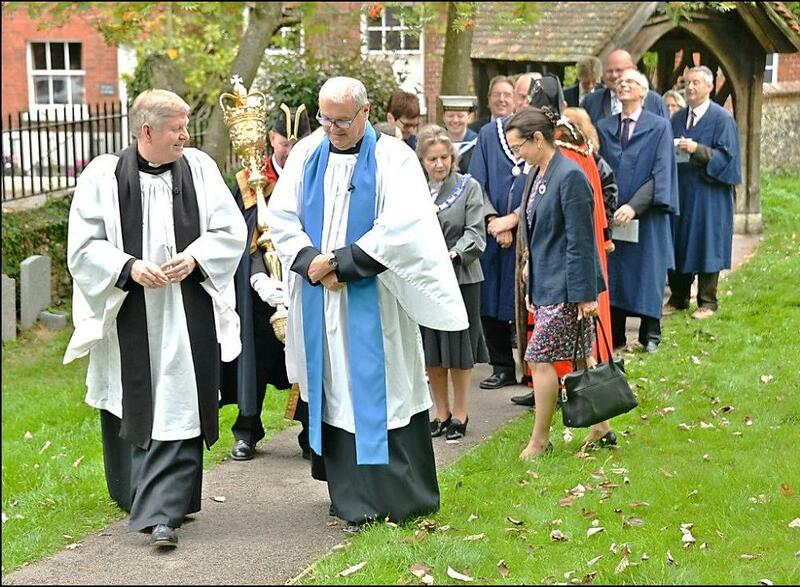 On Sunday 9th September, the Mayor of Henley’s Civic Service took place at Holy Trinity church. The Reverend Duncan Carter led the service, assisted by Michael Forsdike, LLM. 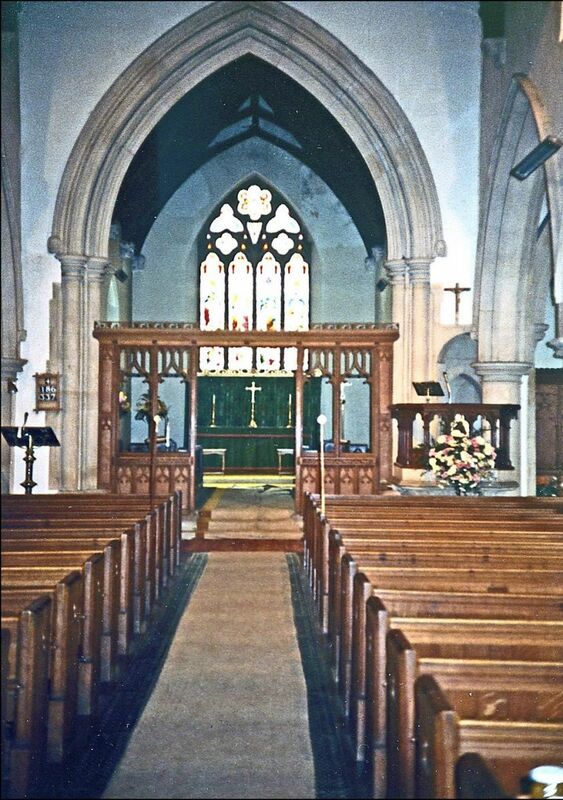 This is the first time that the Civic Service has taken place at Holy Trinity church; normally this annual service takes place at Saint Mary’s, which currently is awaiting the installation of its new rector. Over 100 people came to the service, including the Mayor and Mayoress of Henley and the town councillors, all wearing their formal regalia; local dignitaries included Lord and Lady Camoys of Stonor Park, the Deputy Lieutenant of Oxfordshire, Lady Hall, and our local Member of Parliament John Howell. Following the initial introductory services of ‘Trinity at Four’, which took place at Christ Church, the first ‘Trinity at Four’ service was held at Holy Trinity church, on 9th September, where it will now take place every Sunday afternoon at 4:00 p.m. The Reverend Sam Brewster and his wife Lucy will lead the services. The ‘Trinity at Four’ service has been structured to suit families. Both parents and children are able to share in the first twenty-minute part of the service. After this, the children join their own activity groups, according to the age group they are in. This allows parents to concentrate on the next part of the service, which comprises an educational talk and discussion. Finally, there is a time of fellowship and refreshments, and the children are treated to their own special ‘tea party’. To date, this appealing new service has had an attendance of over 50 adults and some 30 children; this is a promising start to the Trinity at Four initiative, which has brought parents and children together to make Sunday afternoons special family occasions. Anyone is welcome at these services, no matter whether with children, or not. Come along any Sunday afternoon to see what takes place. You may even be interested in helping out in some way if you would like to. Christian teaching forms an important part of family life. To explore the wisdom and common sense of the Bible can only make you into a better and more knowledgeable person, able to see your way more clearly in this complicated modern world.